Corner Spring Garden Rd. and Robie St. The next meeting of the Halifax Rotary Club will be Thursday, December 3, 2015 at 7:15 am in the Tradewinds Room, Westin Hotel. The meeting program focus will be the annual Vacation Draw. A Day of Note: November 26th is American Thanksgiving! 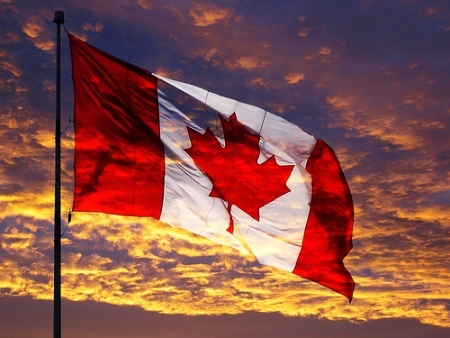 We extend to our American neighbours our best wishes for a happy day of thankfulness and family. From 26 November there are 35 days remaining until the end of the year. Hurry. Errata from last week’s Newsletter: It is John Moldon who is seeking contact with the Rotary Club of Boston regarding the 100th anniversary of the Halifax explosion. Venue: Tradewinds Room, Westin Hotel, Halifax, Nova Scotia. Welcome: Herman Ssebazza. Herman welcomed guest speaker Juanita Spencer, who was introduced by Brian Burnell. Attendance: 15 attended the meeting, including the guest speaker. Health of the Club: no new information was shared. Terry Pond gave us an update on Vacation Draw sales. He asked each of us to take another ticket or two to sell before the draw next week. President Doug shared from Uganda that he has taken pictures of the maize mill, and shared a very pleasant day with John Mpagi, seeing he town of his birth, home and family cemetery. Community visits continue. 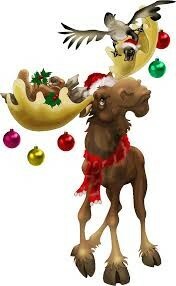 The meeting of December 17th is cancelled to make space for the club’s annual Christmas Party that same evening. See information below regarding December 17th. The next meeting at the Westin Hotel will be January 14, 2016. Happy Moments: Terry Pond, Brian Burnell, Robert Read. Weekly Draw: Oscar drew the winning ticket, but aww, did not draw the Queen of Hearts. The draw will be worth $220 next meeting. Juanita Spencer joined the Spring Garden Area Business Association in November 2014 as Executive Director. She has an extensive background in helping individuals and small businesses navigate the government labyrinth. A former entrepreneur herself, Spencer also spent time with the Atlantic Institute for Market Studies as Manager of Research and Operations, and with the Canadian Federation of Independent Business as Policy Analyst and Business Counsellor. Her policy research and business counselling roles give her insight into how business responds to government activities. Spencer's Master's level research focused on correcting the unintended consequences of well-intended public policy. She has written on issues of university funding and provincial transfers, the taxation and regulation of small business, and the challenges around getting public consultation and engagement right in the modern era of direct electronic interaction and immediate feedback. Spencer has delivered talks to future policy leaders on the small business-government interface, and has had numerous leadership roles in organizations bridging the gap between government and community. 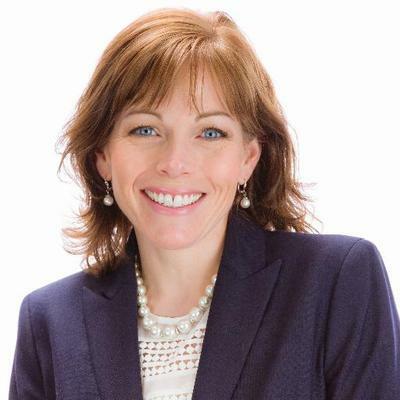 She currently serves on the board of the Nova Scotia Office of Employer Advisor. Spencer has a BA from Saint Mary's University and an MPA from Dalhousie University. She is also a graduate of the Atlas Economic Research Foundation Leadership Academy. Juanita spoke to the club about the Spring Garden Area Business Association’s activities and growth, and shared insights on working with government to achieve objectives. “The Spring Garden Area Business Association (SGABA) is the “voice of business in the Spring Garden Area”, representing member businesses to various levels of government and other key stakeholders in the community. The Business Improvement District provides a lead role in advocacy on important issues that affect the area in which it represents. The SGABA is governed by a volunteer board of directors; staff implements decisions made by the board and any additional sub committees.” – from LinkedIn site. Adjournment: “O Canada” was sung, led by Jim Axell. Next Week: The next meeting of the Halifax Rotary Club will be Thursday, December 3, 2015 at 7:15 am in the Tradewinds Room, Westin Hotel. The meeting program focus will be the annual Vacation Draw. Our speaker for the following meeting, December 10th, will be Scott Ferguson, from the Halifax Trade Centre. Christmas Dinner: turkey and all the usual trimmings. Time: Thursday, December 17th, arrive by 6:00 pm for 6:30 pm start. Venue: Ashburn Golf Club – 3250 Joseph Howe Drive, Halifax. Entertainment: Guitar/banjo player and keyboard player (same as last year). Thursday, January 7, 2016 – 12 noon. Ashburn Golf Club – 3250 Joseph Howe Drive. Same food, etc., and cost as last January – cost per person depends on number of people paying – we will try to determine general cost estimate after the Thursday meeting on the 19th. The next meeting of the Halifax Rotary Club will be Thursday, November 26, 2015 at 7:15 am in the Tradewinds Room, Westin Hotel. The guest speaker will be Juanita Spencer - Executive Director - Spring Garden Area Business Association. A Day of Note: International Men's Day (IMD) is an annual international event celebrated on November 19. The objectives of celebrating an International Men's Day include focusing on men's and boys' health, improving gender relations, promoting gender equality, and highlighting positive male role models. It is an occasion to highlight discrimination against men and boys and to celebrate their achievements and contributions, in particular for their contributions to community, family, marriage, and child care. The broader and ultimate aim of the event is to promote basic humanitarian values. Meeting Chair: President Doug McMillan. Welcome: Herman Ssebazza. Herman welcomed guest Dianne Power, spouse of Bob Power. Health of the Club: no news to report this meeting. Bob Power: We now have Angel Tree Cards to pass out to members to buy Christmas Gifts for children in need. After a show of hands it was decided that once again we will man the Salvation Army Kettle this year, and Bob will get a schedule together of volunteer times. Cards and gifts for the children are due back by Thursday, Dec. 10th. Finally, there will be an Urban Forest Committee Meeting following this morning's meeting. Jim Axell: Reminder regarding Foundation Month, and the related article on the Rotary District website. Jim recommended checking out the video by New Minas Sunrise Club that is also on the website. There is still time to donate $100.00 to the Rotary Foundation for this year. Jim, Paul and Roy Hayward will make up the Paul Harris Committee, and thanks were extended to all three for doing so. Brian Burnell: The Speaker's Program is going well, and there are great speakers lined up until the end of February 2016. Brian will be out of the country for Jan. Feb. and March, but will coordinate speakers until he leaves. Terry Pond: There are still 60 Vacation Draw tickets to be put out into the community, as the draw will take place on Thursday, Dec. 3rd. Four tickets came back Return to Sender and every effort is being made to find the most current addresses for these tickets. Roy Hayward: In regard to our upcoming Christmas Dinner, Roy shared the information with Edith Ross, Chair of the Women of Rotary. Sadly it has been made known that this chapter has folded, however they do meet as friends once per month. Arrangements have been made with Ashburn Golf and Country Club for Thursday, Dec. 17th, 6 pm for 6:30 pm, and the cost of $45.00 per person includes dinner and the same lovely entertainers as last year. Please pay prior to the event, as the Club does not make profit from this event. As for the Jan. 7th Egg Nog Brunch, the price quote is the same as last year, but the more who attend, the less the cost will be. For example, 20 guests at $38.00, 25 guests at $35.00 and 30 guests at $30.00 each. We are now in the new three-year cycle of our new annual $5,000.00 per year commitment to Hospice Halifax, and we are currently up-to-date. He announced that our Club Rep for Bite Halifax will be Alleyne. Lobster Fest will be Saturday, Nov. 28th at the Owl Club in Dartmouth. Tickets can be purchased from Eric Jagger. President Doug has contact information for the person coordinating Syrian Relief efforts. 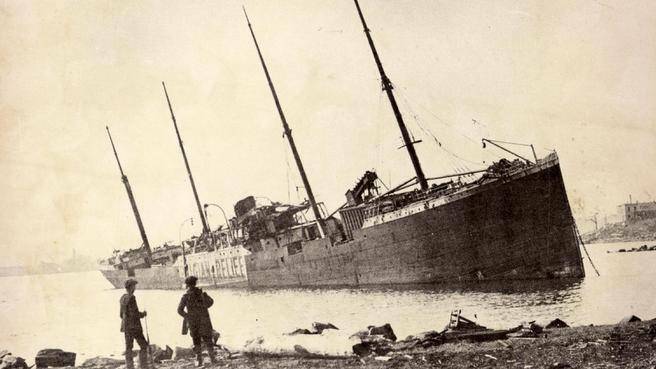 The 100th Anniversary of the Halifax Explosion will occur in 2017, and John Moldon will coordinate with Rotary in Boston for its Commemoration. President Doug has also asked for the last three Club Presidents to follow up on securing a President and a Secretary for the 2016/2017 Rotary year. Terry Pond: Granddaughter pride: she led her team to their Track and Field Division Championship, however, they are not awarded the trophy until they graduated university! Weekly Draw: Terry Pond drew the winning ticket, but aww, did not draw the Queen of Hearts. The draw will be worth $210 next meeting. 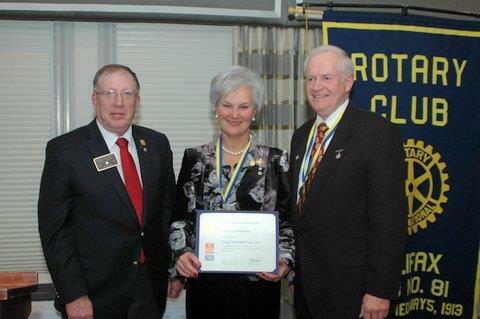 Bob and Dianne Power spoke on their experience in New York made possible by way of the Rotary Friendship Exchange program. They prefaced their remarks by noting that the Rotary Friendship Exchange program is an inexpensive way to travel and meet new people, improving cross-club awareness in the process! They started with a tour of the Susan B. Anthony House in New York, an indigenous historic site where they learned of the Treaty Signing 200 years ago with the English, prompted by the earlier killing of many of their women and children by French soldiers. They were seeking allies and alliances. There were wine tastings, a tour of the Mount Morris Dam, Rotary Sunshine Camp, five days in the City of Corning where they stayed with their hosts John and Margo Brown, saw a wonderful glass museum where Bob and Dianne did some glass blowing themselves, Haunted House Village with a Haunted Hayride (very scary! ), and a trip on the Erie Canal (only a few inches for clearance!). They had a wonderful time and recommend Rotarians go a Friendship Exchange trip. Judy and Roger Stein will be doing just that in March 2016 when they go to New Zealand to visit the Rotary Club of Wellington, New Zealand, first chartered in 1921 under the auspices of Special Commissioners, Jim Davidson of the Calgary Club and Lieut. 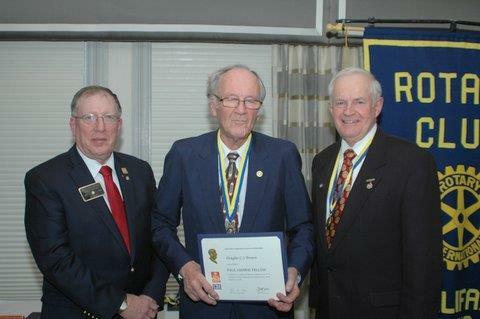 Col. J Layton Ralston of the Rotary Club of Halifax. The inaugural luncheon of the 33 charter members of the Wellington club was held at the YMCA on June 7, 1921, with A. F. Roberts, president, Charles Odlin, vice –president, J. W. Carr, secretary, E. W. Hunt, treasurer and C. A. Lawrence, sergeant at arms. Adjournment: “O Canada” was sung, led by Roy Hayward. Next Week: The next meeting of the Halifax Rotary Club will be Thursday, November 26, 2015 at 7:15 am in the Tradewinds Room, Westin Hotel. The guest speaker will be Juanita Spencer - Executive Director - Spring Garden Area Business Association. Eggnog Luncheon: Thursday, January 7, 2016 – 12 noon. Same food, etc., and cost as last January – cost per person depends on number of people paying. Stay tuned. The next meeting of the Halifax Rotary Club will be Thursday, November 19, 2015 at 7:15 am at the Prince George Hotel, 1725 Market Street, Halifax. This will be an Open Meeting, for general discussion of matters important to the Club. A Day of Note: November 12th is World Pneumonia Day! Welcome: Herman Ssebazza. Herman welcomed guest speaker, Rev. Dr. Robert Fennell. Health of the Club: Alleyne had nasty fall that led to a gash requiring seven stitches! We wish her a very speedy recovery. 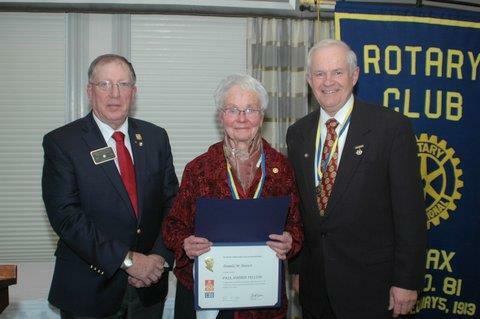 Jim Axell: November is Rotary Foundation Month. The Foundation has gone paperless, however, Jim does have some envelopes available for Foundation donations. He also announced that there are just two countries left in which to eradicate Polio. As well, the Salvation Army Angel Tree Cards are now available. We will carry on with this program. Finally, there will be an Urban Forest Committee meeting following after next week's weekly Club meeting. Terry Pond: There are 63 Vacation Draw Tickets left to go out into the community. Special Mention: Roy Martin sold 30 tickets! Roy Hayward: Regarding the Christmas Party, Thursday, Dec. 17th is available at Ashburn Golf and Country Club. Including entertainment, the cost per person is $45.00. Jan. 7th 2016 is booked for the Egg Nog Lunch. Paul Harris Fellows will be recognized at this time. David Organ: David, who is working on the Club’s website, Facebook and other social media, asked members to ‘LIKE’ the Rotary Facebook page. Expect changes and additions to all media coming down the pipe as the learning curve is mastered. Members are encouraged to let David know about things they like or do not like: all improvement suggestions welcome. Doug announced that the cheque in the amount of $164 has arrived from the Value Village Clothing Drive for Hospice. He also thanked Terry for leading an excellent Remembrance Day service at the November 5th Lunch Meeting. Thanks were also given to Judy for her excellent work with the Global Grant Program. The Wine Sale for Hospice is now on, and will run between the 9th and the 23rd of November, with pick up on Thursday, Nov. 26th. President Doug also reported that a District Governor Elect has been selected for 2018-2019, and that is Rob Christie, member of the Rotary Club of Pictou and Assistant Governor for Central and Northern Nova Scotia. Paul Harris Fellowship committee (including another member). Speakers (including assistance from club members). 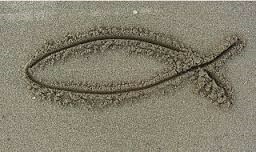 Communications (what should occur as many members move forward with electronic communication). Membership and officers within the club. Please suggest other major areas of focus. President Doug McMillan enjoyed three weeks in Calgary with his grandchildren. David Organ enjoyed the Bedford Remembrance Day Services and was pleased with how well attended they were. He also enjoyed the Nov. 5th Lunch Meeting with the Remembrance Day presentation by Terry Pond. Terry Pond picked up a 93 year old Veteran to take to the Remembrance Day Service, and this Veteran shared how he went seven days without food or water during his service in Malta during the war. Terry felt very thankful for this man’s sacrifices for our country. Jim Axell appreciates the new Newsletter format. Weekly Draw: David Organ drew the winning ticket, but drew the Ace of Spades rather than the Queen of Hearts. The draw will be worth $200 next meeting. The guest speaker was the Rev. Dr. Robert Fennell, professor of systematic and historical theology at the Atlantic School of Theology, Halifax, who provided an overview of Christianity. Rev. Dr. Fennell noted that, with a Canadian population of over 35 million, about 58% identify as Christian, 28% state they have no religion, and the remaining 14% are affiliated with other religions. Worldwide, 32% of people identify as Christian, and 23% Muslim. Roman Catholic and other Catholics were 65% in Canada, while 50% worldwide. Protestants comprise 31% in Canada and 38% worldwide. The landscape and map of faith orientations is in continual flux. Christians are very diverse in their beliefs, with many political and economic factors involved. After 2000 plus years, there are bound to be some disagreements in Christianity, arising from culture, law, medicine, theory, even cooking styles! Rev. Dr. Fennell touched on how new names have been selected for dating purposes to remove the Christian bias in a pluralistic world: BCE means ‘Before the Common Era’, and CE means ‘Common Era’. But apart from the change in names, BCE = BC and CE = AD respecting timelines. He then went on to touch on a few Christian milestones: 1-35 CE (Common Era), the life of Christ; 30‑100 CE, the foundation of Christianity is laid; 50-400 CE, Christianity expanded to the Middle East, India, Africa and Europe; 66-324 CE, Roma Empire’s persecution of Christianity, when followers were literally thrown to the lions! In 313 CE, Christianity became authorized in Rome, freeing it from being an underground religion. In 1054 CE there was a split between East (Orthodox) and West (Catholic and Latin) philosophies. In 1400 CE the Protestant Movement began. In 1517 CE, Martin Luther's famous protest led to a split from Rome. From 1500 to 1900 CE, Christianity expanded into Asia, North and South America. In spite of the many nuances and differences in belief and practice, areas of agreement in Christianity include there is but one God (not two or three), and that prayer and service to others are vital aspects of being Christian. Controversies in Christianity are many, including who makes the policies and procedures governing a church, doctrinal differences, disagreement about the roles of women, and the place of human sexuality, to mention a few. It is hard to cover the complexity and diversity of Christianity in just 15 minutes, but, nonetheless, Rev. Dr. Fennell skillfully managed to leave time for questions from the Club, which was an excellent exchange. Special Attachment: Rev. 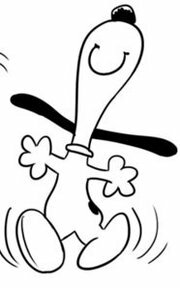 Dr. Fennell graciously granted your humble newsletter editor permission to include a copy of his presentation as a PDF file attachment. President Doug presented Rev. Dr. Fennell with our 100th Anniversary mug after this lovely presentation. Next Week: The next meeting of the Halifax Rotary Club will be Thursday, November 19, 2015 at 7:15 am at the Prince George Hotel, 1725 Market Street, Halifax. This will be an Open Meeting, for general discussion of matters important to the Club. Wine Sale to Benefit Hospice! Thanks to the six Rotary Clubs of the metro area and Bishop’s Cellar you can support hospice as you spread good cheer this holiday season. $25 from each case of wine sold will go to Hospice Halifax! $25 from each case goes directly to the Rotary’s fundraising effort for hospice. Limited time only … the sale started Nov 9 and ends on Nov 23 with one day only pick up on Nov 26 (8 am to 8 pm) at Bishop’s Cellar Warehouse, 3607 Strawberry Hill, Halifax. Don't delay! Order your Christmas wine and support the Hospice Society! The next meeting of the Halifax Rotary Club will be Thursday, November 12, 2015 at 7:15 am in the Tradewinds Room, Westin Hotel. The guest speaker will be the Rev. Dr. Robert Fennell, who will speak to us about faith, belief and Christian denominations. Venue: Swiss Chalet Rotisserie & Grill, 358 Lacewood Dr., Halifax, Nova Scotia. Time, Theme and Format: 12:00 pm noon, a modified lunch meeting format designed to facilitate remembrance of veterans, who have stood between us and harm, defending our democratic institutions and way of life. Terry Pond lead the service. Meeting Chair and Service Leader: Terry Pond, PP, PHF. Welcome: Herman Ssebazza. Herman welcomed Club member spouses, and guests David and Kay Richardson. Attendance: 16 members, 7 spouses of members, and 2 guests. “Let us think reverently of those who by land, by sea and by air, laid down their lives for sovereign and country. Their sacrifice will ever inspire us to labour on, to the end that those who survive and need our aid may be assured of assistance, and that the country in which we live and for which they died may ever be worthy of the sacrifice they made. Minute of Silence: all stood for a minute of silent contemplation and prayer. Health of the Club: Muriel Axell was able to attend the luncheon, signaling encouraging signs of recovery from a hard-hitting virus earlier in the year. Planning for the Club’s Christmas dinner to be coordinated, along with the Eggnog Party. Roy Hayward and Roy Martin will follow up. Members were reminded of the importance of the Vacation Draw for Club programs, and that the deadline was fast approaching. Work hard my friends. Work hard. The Ugandan project grant has been approved, funds allocated, and the project will be proceeding as hoped. Happy Moments: The following were happy Rotarians at this morning’s meeting: Robert Reid. Weekly Draw: Suspended for this event. The Queen of Hearts will be worth $190 when the draw resumes at next meeting. Our guest speaker was Club member, PP Terry Pond. Terry is currently 68 years old, born in Woodstock, New Brunswick, and son of Reg and Dolly Pond, both of whom were veterans of the Canadian Armed Forces. Reg served in the Royal Canadian Navy on the HMCS Uganda, renamed HMCS Quebec during the Korean War and finally decommissioned in 1956. The HMCS Uganda was positioned off the shores of Japan during the wartime nuclear bomb explosions, radiation from which impacted navy personnel, including Reg. Dolly served in the Royal Canadian Army for 26 years, receiving the Order of Military Merit. Founded on July 1, 1972, the Order of Military Merit recognizes distinctive merit and exceptional service displayed by the men and women of the Canadian Forces, both Regular and Reserve. Many have demonstrated dedication and devotion beyond the call of duty, and the Order honours them for their commitment to Canada. Her Majesty Queen Elizabeth II is the Order’s Sovereign, the governor general is its Chancellor and a Commander, and the chief of the Defence Staff is its Principal Commander. With Terry’s family history, it was natural for him to join the military. He joined the Army Reserves at the age of 16, working first as a driver and then as a driving instructor. He worked his way up to Sergeant in 4 years within the Reserves. Terry was committed to a military career, and transferred to the regular force, where he became an army officer. After about 18 months as a Private, he was selected for Officer Training as an artillery officer. Looking back, Terry reflected that he saved himself about 6 months going this route. Terry shared a story of his recruiting experience. The recruiter told him that if he joined as a soldier, he would be promoted ahead of all civilians wanting to join the army. So he joined the regular force as a Private in the Corps of Royal Canadian Electrical and Mechanical Engineers (RCEME), and was trained as an ELM Tech (Electro-Mechanical Technician), working on military equipment and vehicle electrical systems. The RCEME motto was: "Arte et Marte" ("By Skill and by Fighting"), conveying the concept of a soldier-maintainer applying engineering skills in combat. Terry’s story continues with where he went, what jobs he had, and who he met along the way. Such details would fill volumes, reflecting a rich and full military life. Terry retired in September 2003 after 39 years in service to Canada, including 12 years of service outside of the country. We all have an understanding of what a veteran is, and Terry noted that the official definition has changed subtly over the years to encompass new veterans coming home from new conflicts, ever since 1899. Terry served during a time relative peace for Canadian military personnel, often referred to as “The Person Years.” Even so, there have been conflicts engaging Canada’s military every decade over the past 100 years and longer. The latest conflict has been Afghanistan, and current missions in the Middle East. From the Boar War, through World Wars I and II, Korea, Middle East, Somalia, Bosnia-Herzegovina operations, East Timor, Kosovo, Sierra Leone, Republic of Congo, Ethiopia, Eritrea, Sudan, Libya, Iraq and the Levant, Canada’s military presence has been a consistent support for our allies, NATO, and the United Nations. After leaving the military, Terry’s life has revolved around Rotary and the Royal Canadian Legion, Centennial Branch 160, wanting to help make a difference as a volunteer. Canadian Legions are entrusted with the task of remembering fallen soldiers, and offering aid to those veterans (and their families) who survived the conflict(s) into which they were sent over the past 116 years. The program used to remind Canadians of these profound sacrifices is Remembrance Day, and day set aside each year to pay homage to the serving and retired military personnel we call veterans. He Legion engages in a “Call to Remembrance” for our individual communities by distributing red poppies and various information materials. 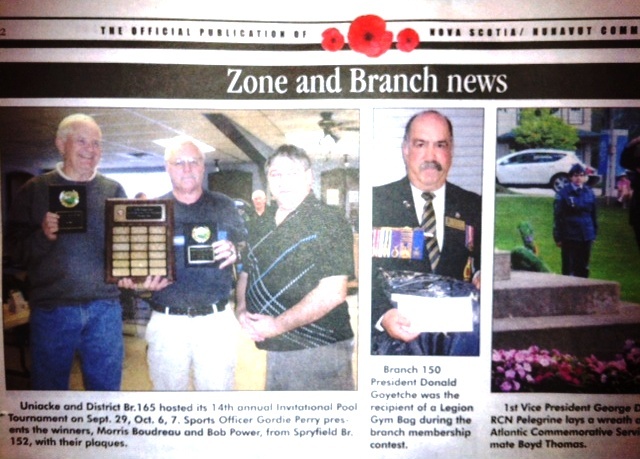 Donations through the Poppy Trust Fund help each Legion Branch serve veterans. The red poppy resonates for Canadians with Major John McCrae’s famous poem, In Flanders Fields. Remembrance Day: with services marking the date and time when armies stopped fighting World War I on November 11th at 11 am in 1918 (the eleventh hour of the eleventh day of the eleventh month). 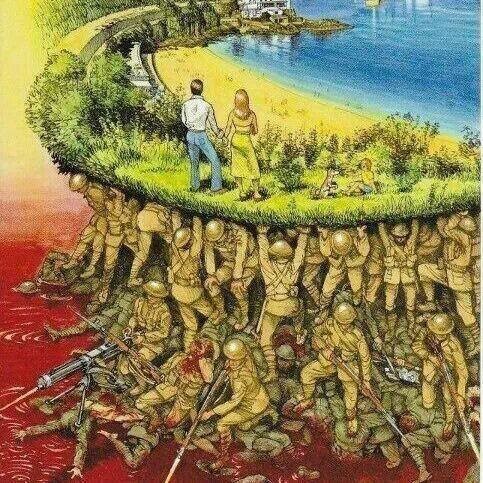 At this time of year we remember why we have a free country. Please remember to buy a poppy, and remember that there are veterans who need our support! Next Week: The next meeting of the Halifax Rotary Club will be Thursday, November 12, 2015 at 7:15 am in the Tradewinds Room, Westin Hotel. The guest speaker will be the Rev. Dr. Robert Fennell, professor of systematic and historical theology at the Atlantic School of Theology, Halifax. In Flanders Fields, by Major John McCrae, 1872 – 1918, a brigade physician and poet from Guelph, Ontario (written in 1915), serving overseas during World War 1. Rotary Polio Immunization Trip to India Announced - February 2016 (see attached PDF file). Bishop’s Cellar has put together a 2015 CASE SALE for the Rotary Clubs of HRM to support our fundraising efforts for the Hospice Society of Greater Halifax, plans for which are taking shape! Limited time only … the sale starts today (Nov 9) and ends on Nov 23 with one day only pick up on Nov 26 (8 am to 8 pm) at Bishop’s Cellar Warehouse, 3607 Strawberry Hill, Halifax. As we cannot use our regular venue next week we have arranged to have our meeting at Smitty’s (1490 Martello St. opposite the Public Gardens). 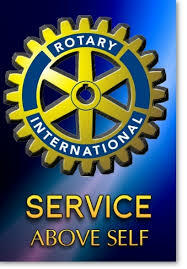 The next meeting of the Rotary Club of Halifax will be at 7:30 am, Thursday March 20, at the Westin Hotel. The speaker will be Terri Fraser from the Halifax Public Libraries speaking on the new downtown library. Bill VanGorder; reminded members to sell cases of wine. He also told embers that the Facebook page had been updated and those that use Facebook should ‘Like’ our page. Jim Axell; Outlined details of the free Shredding project the Club’s ABC’s of Fraud group will be operating with Dignity on Saturday 15th March at Mattatall Funeral Home,217 Portland Street, Dartmouth (see attached photograph ) and on Saturday 22nd March at Cruikshank Funeral Home, 2666 Windsor Street, Halifax,from 9 a.m. to noon on both occasions. Volunteers are needed and should arrive before 9 to assist in the set up. This is a good “Hands On” project and the opportunity for Rotary fellowship. Bob Power; reminded Board members of the Board meeting at Paul Frank’s office Thursday evening 13th at 5 p.m.
Marlon Hagerty;circulated the latest Roster for corrections prior to its reissue. Happy Moments: Terry Pond and Bob Power expressed a happy moment this week. Weekly Draw: President Bob held the winning draw ticket this week but could only find the Jack of Diamonds in the pack of cards. Next week the Queen will be worth $410. Oscar Wong introduced the guest speaker who is his nephew, Yau-Sun Tong. Yau-Sun learnt English after coming to Canada and later became very interested in Photography. Yau-Sun Tong will be conducting tours of China, Tibet and Central Asia this year. On previous tours he has taken many photographs and at our meeting he selected a series of slides from his trip on the Tea-horse Trail from China into Tibet. He noted that tea was grown in China and taken via the Tea-horse Trail to various parts of China, Tibet and India. These trips over mountains could exceed a month in time. The trail was actively used until the middle of the last century. The slides shown by Yau-Sun were exceptional and gave a great picture of places along the Tea-horse Trail. 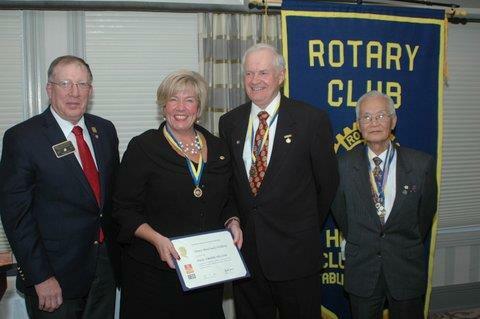 Yau-Sun answered questions and was then thanked by President Bob and presented with a Rotary mug. The speaker next week will be Terri Fraser from the Halifax Public Libraries speaking on the new downtown library. Adjournment: Jim Axell led the singing of O Canada to close the meeting. Secure Shredding of your personal information. No charge, but donations to Rotary accepted with thanks. Thanks To Shred-It Inc. and Dignity Memorial for sponsoring this project. Rob Patterson – Street Connection and PP Heather MacDonald giving her Classification Talk. Venue: Westin Hotel, Halifax, Nova Scotia, Canada. Health of the Club: Members held a moment of silence in memory of Honorary member Peter Herschorn who passed away January 15th at the age of 92. Peter joined the Club May 10, 1955 and was a Paul Harris Fellow. PP Bill VanGorder advised that he and Rotarian Alex Handyside (Dartmouth Rotary Club) had started up a program called “100 Men Who Give a Damn” where 100 men agree to give $100 four times a year to one worthwhile charity selected by the group. Bill advised that thee is no limit on the number and, while there are now over 100 registered, new members are welcomed to join. More information at www.100menHFX.ca. Bill also distributed a flyer for a Valentine Dinner and Dance event at The Westin Hotel on Tuesday, February 14th in support of the Hospice Society of Halifax and, in particular, the construction of Rotary House Hospice in partnership with the six local Rotary Clubs. Tickets are $150 per person and Bill is trying to arrange a table of eight. PP Jim Axell displayed a certificate from The Salvation Army thanking us for our participation in the Angel Tree Giving Program before Christmas. We were also thanked for being involved in the annual Christmas Kettle campaign. President Debbie Gascoigne pf the Rotary Club of Sackville and Area presented the Club with two complimentary tickets to her Club's second anniversary celebration on Saturday, January 25th 7pm at the Beaverbank Kinsac Centre. The event will be a Kitchen Party theme and Stella Roy will be discussing her recent trip to Nigeria. Tickets may be purchased at the door for $15 each and all Rotarians are welcomed to attend. President Bob advised that changes to the Club's By-Laws and Constitution had been discussed at the last Board Meeting and he was giving notice of a membership vote on the changes at the first meeting in February. The changes will bring our Club's By-Laws and Constitution more in line with Rotary International. Judy Guernsey advised that she had recently attended an event on Rotary Global Grants with about 25 other Rotarians from all the local clubs. PP Jim Axell told the membership that thee was a competition among the six local clubs to hold a fund raising event during January/February with proceeds going to Rotary Foundation. PP Heather MacDonald will look into having another rose sale on Valentine's Day at Scotia Square. Happy moments: Terry Pond, Marlin Hagerty, Doug McMillan, Bob Power and Debbie Gascoigne came forward. Program: President Bob advised that the Open Meeting will concentrate on Club Dues and to discuss a more equitable method of payment for all members. Marlin Hagerty, assisted by Judy Guernsey, provided an overview of the current structure and what may be changed in the future. Marlin agreed to provide the membership with a write-up of his presentation and what the plans are for going forward. This will be distributed to the membership separately. AT 07:00 FOR 7:30 A.M.
please let Secretary know so hotel staff can be advised. 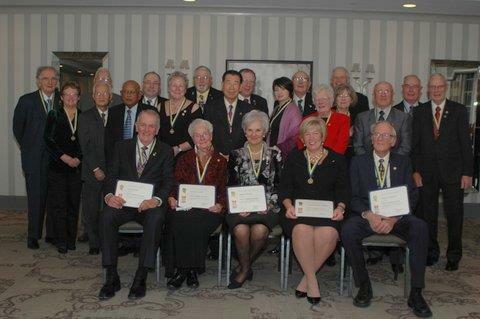 Rotary Club of Halifax’s Continuing 100th Anniversary Celebrations. 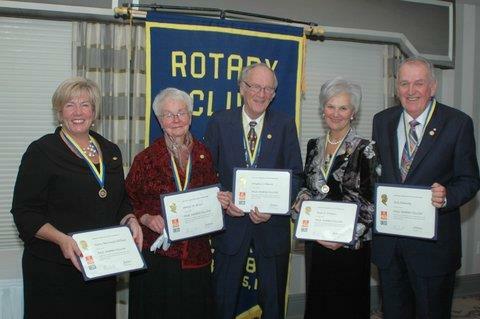 As part of the Rotary Club of Halifax’s 100th anniversary celebrations the club awarded 5 Paul Harris Fellowships to five non Rotarians living in Halifax Regional Municipality at a dinner held on 28th November 2013. 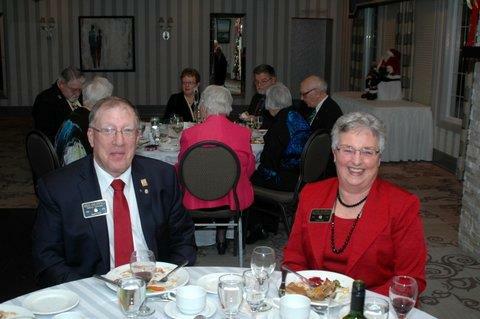 District Governor (DG) Greg Coldwell and his wife, Claudia were present at the dinner. DG Gregg assisted Club President Bob Power make the award presentation of the Paul Harris pin, medallion and certificate after each recipient had been suitably introduced by a club member. The 5 awardees are shown below in sequence were: Myra Freeman; Jack Flemming; Nancy MacCready-Williams; Dr. Douglas Brown and Dr. Pamela Brown. Seven tables of participants joined the special event in the Club’s social calendarand fellowship. The dinner was held the Old Ashburn Golf Clubhouse and doubled as the weekly Club meeting and or annual Christmas dinner. Fifty seven Rotarians, their partners, the new Paul Harris Fellows and their families attended the event. An excellent meal was served consisting of a green salad, a roast turkey main course followed by hot apple crisp. 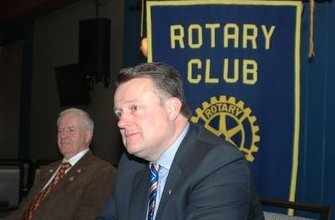 Health of the Club: Rotarian Harry Churchill Update. Harry is at home and reported doing well. The VON will be nursing Harry until 9 December. Visiting Rotarians and Guests – There were five visitors to the club meeting – Dr. D.A. Grant; Dal Rotoractor Sarina Holz and Marie-Elssa Morency; Prospective new member, Tony Trimper; and President Bob’s sister Mary Power. 1) November is Foundation Month. He mentioned that he had handed out a threefold brochure on The Rotary Foundation (TRF) “Ways to Give”. If you did not get one please see Jim for a copy. If you are donation directly to TRF please take an envelope, fill it out and mail it personally. He challenged members to become a Foundation Benefactor to the Permanent Fund by bequeathing $1,000.00 from your estate. He handed out an info sheet. 2) Salvation Army. – a. Angel Tree Cards. Gift Cards are still available and must be returned by 5 Dec. b. Kettle Campaign. Our date is 10 Dec at Halifax Shopping Center located near the Santa Claus Tree. There are two hour shifts from Noon to 9:00 p.m. He passed around a shift signup sheet. Terry Pond announced that last count of Vacation Draw 2013 ticket sales, there was 150+ tickets sold. He explained that we will give away the prizes on Thursday 5 December. The question of venue location has been answered, it has been changed to the Westin at 8:00 as part of the Club meeting. He repeated three things: - Sold Tickets, TURN THEM IN; - Unsold Tickets, SELL THEM, THEN TURN THEM IN; and - Not Picked Up Tickets Yet, PICK THEM UP & SELL THEM, THEN TURN THEM IN. Roy Martin reported that PHF Dinner Ceremony on 28 November had 56 committed attendees. The price was set at $46/person. He must confirm the meals required in advance. The venue will be held at Ashburn Golf Club of Joseph Howe Dr in Halifax. Jim Axell noted that we will be presenting 5 PHF Awards at the Dinner. AG Wendy Keen. (Pres Bob Read) Dominican Republic Rotary Project. There is room for two more Rotarians to volunteer to participate and travel with the group to this project in the Caribbean. Call President for coordination. The two time periods this year are: a. Depart January 24 and return 31 January 2014; b. Depart February 14 and return 14 February 2014. President Bob. Philippines Disaster from Typhoon Haiyan. He started by stating that we have not done anything as a club to help. He then read a letter from DG Gregg Coldwell who challenges all district clubs match the $1,000.00 And, the words of RI President Ron Burton, that spoke of thousands of Philippine survivors struggling to survive. He recommended SHELTER BOX as a good way to help a family. It was again noted that Club member Francisco Lorenzo status in the Philippines was still unknown. President Bob is to call his wife Anne and offer assistance if needed. He further reported that Club member Judy Guernsey if the club could help through the International Committee. Doug suggest it would be better if we could establish a personal contact a build on relief to a specific area. It was noted that the Canadian Government will match donations made by Canadians. It was asked that Judy try to determine what relief organizations are working in the Francisco’s location. Contact him and establish a positive contact to find out the need through him. The President polled the members for agreement to spend $1,000.00 for this Humanitarian Assistance to the Philippines. There was agreement. Heather MacDonald. Hospice House Wine Sale. Heather reported the results of the next Wine Sale for Hospice House fundraising. 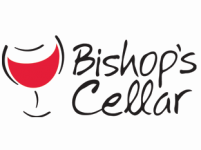 Do to circumstances, a new wine operator “Bishop Cellar”. The wine offered will be mixed case with a $190.00 value selling at $150.00 each. There are only 8 cases per club and she had orders for 4 or 5 cases by end of meeting. Pick up will be on 4 to 7 Dec at 9 Spring Street in Bedford. Happy Moments: Jim Axell happy for the ABCs of Fraud presentation he and Roy Hayward gave at the School for the Blind and happy to be out of the Dentist chair. Marie-Elssa was happy to be back. President Bob was happy to have his sister, Mary, at the meeting. Weekly Draw: $300. Dr. Robert Read had the winning ticket but drew the 4 of Spades. Next week $310. Guest Speaker Program. Oscar Wong introduced our guest speaker, Dr. D.A. (Gus) Grant. Registrar and CEO of the College of Physicians of NS. Very pleased to welcome him to our club. Dr. Grant stated he was here to talk about an Awareness Campaign “Good Pill Bad Pill”, the use and abuse of prescription pain pills; the nature and extent of the problem with Opiate Drugs. There are people who are not aware of the problem and people who think it is a new problem. Opium based drugs [dilotines, anticodeines, etc] have been around for centuries. He then touched the Britain/China Wars because of the OPIUM trade – conclusion, Opium has and will always be the drug of choice for pain and abuse – it is not going away. The normal dose of pain killer is 1 to 2 ml 4 times per day waiting for an operation. In USA, last year, enough dilotin was used to give every citizen 5 ml per day for one month. It is ubiquitous. More people died from drug associated deaths than automotive accidents. It is getting worse. Dr Grant concluded with a set of Facts. The rate of addiction from new exposure is minimal. We know that the risks for addiction are very similar for chronic pain. Rate of addiction is relatively constant at 2 %. Supply and demand are irrelevant. And, chronic pain is worse as you age. An enthusiastic question and discussion period followed. What is the plan to deal with misuse of opiods? No solution yet. Any approach would have unintended consequences – patients would have more pain; addicts increase violent crime; addicts find alternatives such as morphine (heroine) leading to increase in infectious disease; need more rooms in our jails; more “DETOX” rooms in hospitals; left over drugs after a death become target for addicts; more false claims of pain to gain pain meds from doctors. This is a complex issue Awareness – Balance – Treatment with a broader view. Is addiction inevitable? NO! Patient Dependency is not Addiction. Pain and tolerance to pain is varied in every individual. Pain is subject to experience and everyone is different.. Sad Truth. There are individuals who are less tolerant to pain. President Bob thanked Dr Grant for a most interesting talk and presented him with a Club 100th Anniversary 4 Way Test Mug. O’ Canada: Terry Pond lead the meeting in singing O’ Canada. Adjournment: The meeting adjourned at 8:32 hrs. Member Comment provided after the club meeting worthy of mention. We had a good meeting this morning at "The Westin Hotel" where we previously met for many years. All went well and the food was excellent. His Worship Mayor Mike Savage gave an inspirational talk and enjoyed his visit with us. Health of the Club: Rotarian Harry Churchill Update. Harry left Hospital for home where he will continue on antibiotics for several more weeks. Roy Martin reported Jude; his grandson was coming along well. Our Thoughts go out to Harry and Barbara & Roy and Eula. Visiting Rotarians and Guests – There were four visitors to the club meeting – Mayor Mike Savage; Dal Rotoractor Elora Wilkinson; Prospective new member, Tony Trimper; and Westin Hotel Rep/ Harbourside Club Rotarian Glen Bowie. Terry Pond announced that last count of Vacation Draw 2013 ticket sales, there was 110 tickets sold. He explained that the first 100 tickets sold pay for the prizes that we will give away on Thursday 5 December. The question of venue location was raised but it is still pending answer from RA Park manager. (1) there will be a quick PHF Committee meeting after Club Meeting. Ø Last day to bring in to club is 5 December. Ø Money donations are acceptable. Put in an envelope. (3) Salvation Army Kettle Campaign – it is time to volunteer for this year’s campaign. He needs 10 volunteers. A Tuesday (TBC) has been selected and Rotoract members have volunteered to help. (4) November is Foundation Month – Envelopes and forms are available for individual donations from Jim. Rotary Club of Halifax Donation Cans are due back on 21 November due to PHF Dinner on 28 Nov.
(3) A Thank You letter from Easter Seals was read to the meeting for our donation of $500 to rappelling office building in city’s core. Weekly Draw: $290. Jim Axell had winning ticket #746 but sadly drew Four of Diamonds. Next week $300. Guest Speaker Program. Roy Hayward introduced our guest speaker, his Honour, Mayor Mike Savage. He mentioned that in a recent “City Matters Survey” Mayor Savage rated 8 out of 10. His honour thanked Roy with a comment of “Thanks I glad to be here and not the mayor of Toronto. The meeting welcomed the speaker in the usual manner. The Mayor’s talk started with an acknowledgement of our Club’s 100 years and stated he would focus his talk on “Service”. He referenced his father’s trip the NIGER, Africa and how he was charged up with “making a change for good”. How he subsequently, working with the Dartmouth Rotary Club, helped found a hospital in Niger. His concerns with “Education and Health Care were paramount”. The Mayor went on the commend Club members for their service such as the Salvation Army Kettle Campaign, that we are doing a critical job in the community. He mentioned that he saw the impact of helping community in the Hope Blooms receiving $40,000 from Dragon’s Den. 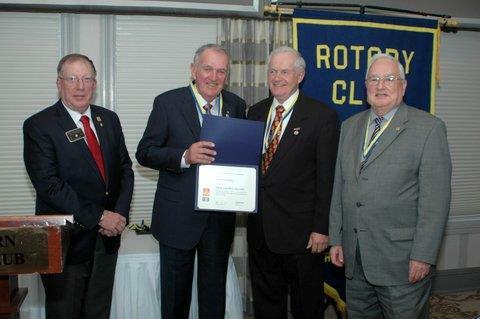 He recognized Rotarian Dr. Robert Read who attended a recent HRM Council sesion on health. It is important to recognize hospital is for fixiXng a person and good health is the other issue. We need strong community partners and do what we can do. It is remarkable that this community is helping some of the poorest people alive in some of the poorest places in the world. He stated that” these are the things we are suppose to do; open our arms, hold hands and do something positive”. We don’t just have disasters found in other parts of the world like droughts and typhoons. His father, John Savage stated “to those who much is given much is expected”. People have lost trust in traditional institutions such as doctors, clergy and politicians but still you do what you can. Questions: Roy Hayward asked about taking responsibility. The Prime Minister, local Alderman, suggested those who step up and say “I made a mistake”, then move forward. Roy Martin mentioned our club’s involvement in Africa – Piggery Project, Generator for Maternity Centre. The Mayor noted that his father’s efforts in Niger were rewarded by the hospital being named ”The Margret and John Health Center” in Niger. He continued with his visit to Africa, meeting a blind women who was the center of the Micro Loans Program for women. Tad Meizner said we need to ask “what do you need and help them identify needs to help in the best way”. This discussions continued with - service to the community and partnership in the community to help find solutions; water system updates; bike paths. O’ Canada: Jong Kim lead the Meeting in singing O’ Canada. Comment provided after the club meeting worthy of mention. We had a good meeting this morning at The Westin Hotel where we previously met for many years. All went well and the food was excellent. His Worship Mayor Mike Savage gave an inspirational talk and enjoyed his visit with us. Adjournment: The meeting adjourned at 8:22 hrs. President Bob Power mentioned that he had been featured in "THE TORCH". I dug around and found this picture. Well done Bob! 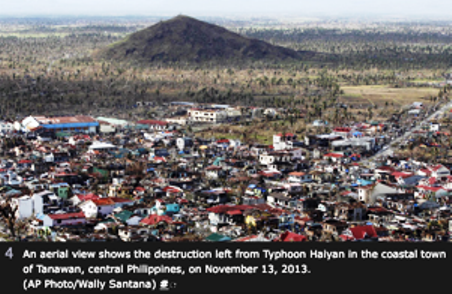 ShelterBox Canada is appealing for donations to support the Typhoon Haiyan relief effort. Hundreds of thousands of men, women, boys and girls in the phillippines are now homeless and without clean water or food in the wake of super Typhoon Haiyan. Their situation is desperate. ShelterBox has teams in the Philippines responding to the disaster and we are moving emergency shelter and other vital aid already located in the Philippines and neighbouring countries to the worst affected areas. The Government of Canada will match donations made to ShelterBox Canada for Typhoon Haiyan relief efforts. For each dollar donated by individual Canadians to ShelterBox Canada, one dollar will be set aside for the Typhoon Haiyan Relief Fun. This is a unique opportunity to double the impact of your donation. Donations to this appeal will be used to fund our response to Typhoon Haiyan. Feedback from ShelterBox Response teams already in the Philippines confirms that the typhoon has caused utter devastation with hundreds of thousands of people made homeless with no access to clean water, electricity or food. In recognition of World Food Day on 16 October, this edition of Rotary Service Update highlights examples of Rotarians’ efforts to help some of the 850 million people worldwide without access to nutritious food. Listen to a webinar about Rotary’s work with other organizations to alleviate hunger, and read General Secretary Hewko’s message about Rotary’s commitment to the fight against hunger and malnutrition. Did you know that billions of pounds of food are wasted each year? Rotary clubs and districts work with The Global FoodBanking Network (GFN) to establish and support food banks, which redistribute excess food to the people who need it most. Has your club ever worked with a food bank or participated in a food distribution project? Are you interested in exploring partnership opportunities with GFN? Take this brief survey to tell us about your work or how we can help you get started with a food banking initiative. The Rotary Club of Guilford (Greensboro), North Carolina, USA, is a sponsor of the Numay Project, an initiative to curb childhood malnutrition Cali, Colombia. Children in need receive nutritious food distributions monthly, and their parents and care-givers receive meal-planning guidance and classes on proper nutrition. Read more. The Rotary Club of Lucena South, Quezon, Philippines, partnered with local relief agencies and Stop Hunger Now, a U.S.-based initiative that packages and distributes nutritious meals, to distribute 5,000 meals at the Aeta Children’s Home in Zambales, Philippines. The Rotary Club of Lake in the Hills, Illinois, USA, partnered with the Ak’tenamit community in the Guatemalan jungle to install a sustainable aquaponics system and train local residents to maintain it. Aquaponics is used to produce both fish and vegetables, providing affordable protein that can be cultivated by the local community. Watch a video and learn more about this project. The Rotary Club of Mt. Pleasant, South Carolina, USA, obtained a Rotary grant to help fund the Back Pack Buddies initiative, a project carried out with the Lowcountry Food Bank that provides 120 local students in need of daily food assistance with food to take home over the weekend. 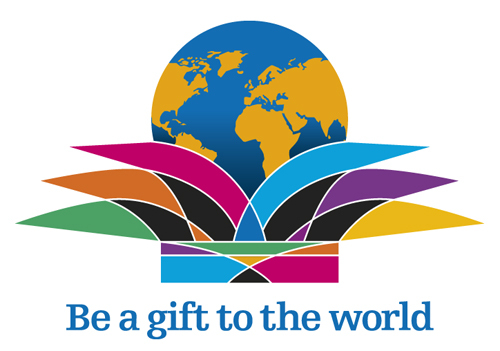 Browse Rotary Showcase to find more service projects that can be replicated in your community, or support a project in need of assistance. Browse projects in need of assistance or post yours on Rotary's crowdcontributing tool. Get this informative, color booklet for an introduction to Rotary's six areas of focus. Find step-by-step instructions for developing, implementing, and evaluating successful service projects. Learn about eight useful tools for selecting an effective service project, including asset inventory, community mapping, and focus groups. 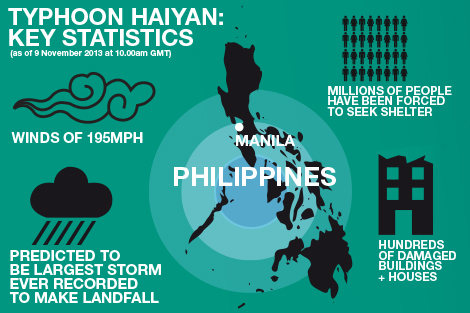 With winds topping 300 kph and gusts up to 379 kph, Super Typhoon Haiyan (known locally as Yolanda), which struck the Philippines yesterday evening, is predicted to be the largest storm ever recorded, surpassing Hurricane Camille in 1969. Reports say more than 12 million people are at risk from the storm, including the population of the country's second largest city, Cebu. Thousands of people have been evacuated and thousands more have fled their homes as the category 5 storm approached. Powerlines have been overturned as 15 ft waves crashed against the islands of Leyte and Samar in the central Philippines. ShelterBox currently has a team based in the country, responding to a 7.2 magnitude earthquake that hit Bohol on October 15. They will now assess need associated with the typhoon. Our team in the country took shelter last night, as did thousands of others from the coastal areas of Bohol, a popular tourist destination that has barely had time to recover from the earthquake. ShelterBox Response Team volunteer, Mark Dyer said, "The storm has now passed our area, and our team is doing well. But we are already getting reports of homes being washed away in flooding, and local communications are down." Meteorologists predict the storm will head out across the South China Sea. Our thoughts are with everyone affected by this catastrophe. And our first priority will be to identify the most vulnerable people impacted and provide aid as quickly as possible. We need your help now. Please make a donation today. For the latest updates, please visit www.shelterboxcanada.org or follow us on Facebook or Twitter. ShelterBox is also currently responding to the Syrian crisis and an earthquake in Pakistan. Thank you for your support and making our response possible. The publication formerly known as Rotary Basics is now called Connect for Good and contains information to help new and current members engage in Rotary. Whether it’s identifying a need in the community and leading a hands-on a service project or hosting aRotary Youth Exchangestudent and learning about another culture, Connect for Good offers many opportunities to get involved in Rotary. Connect for Goodalso encourages Rotary members to stay connected by updating their profiles onwww.rotary.org/myrotary, sharing their service projects onRotary Showcase, and using social media to reach out and start conversations. Explore Connect for Good and start making your connections today!Available for purchaseat shop.rotary.org. Learn how to create successful, sustainable service projects by taking part in our new five-part webinar series. Each session highlights strategies, best practices, and Rotary resources to help clubs and districts plan, manage, promote, and carry out their service efforts. Register for the Lifecycle of a Service Project (part 2) webinar on 19 November 2013 at10 am US Centralor6 pm US Central. Nearly 6,000 members had shown their 1.2 million contacts that they are proud members of Rotary by sharing agraphicfrom Rotary’s Facebook page. 483 members had supported the Membership MonthThunderclapand shared a common message with their social networks, reaching an astonishing 436,204 people. RI President Ron Burton’svideo messagestressing the importance of membership had been viewed over 6,000 times. Nearly 500 members had taken part in the Membership Challenge and set personal goals to sponsor a new member, bring a friend to a meeting, and more. Thank you for making Rotary’s Membership and Extension Month a success. How did you become a vibrant club? Rotary is looking for stories from clubs that have successfully changed their structure, activities, or even club culture to feature in our Be a Vibrant Club publication. If you have best practices, strategies, or regionalized tips on how others can make their clubs more engaging, fun, and vibrant, please email us atmembershipminute@rotary.org. This is the monthly Newsletter for our District. Here we are in October already, nearly a third of the year gone . Membership month was two months ago, have you invited someone to your club yet? Having a club social shortly, think about inviting a neighbor or co-worker. I think it is probably time for a brief up date on what is going on at the district level. We have now visited all the clubs in PEI and NL, three clubs in Nova Scotia and at present we are in Cape Breton so, with just about half the club visits done I am still amazed at how many people Rotary reaches out and touches. A special thank you to all those clubs we have visited and for the kind reception Claudia and I have received. Two weeks ago Paul and Stella Roy, Jim and Barbara Goit ,Tom and Shirley McCaughey, Claudia and I went to zone institute in Cherry Hill NJ. It was a tremendous event with a number of top notch speakers. Claudia and I spent the week in our trailer in the hotel parking lot and were known as white trailer trash. What a DG has to do to maintain a balanced budget. Hopefully as reported last month the Cross Canada Tour is now under the control of a committee comprised of members from 7820 and 7080. The administration contract and legal contract have been awarded for a three year term to Shalloway and Cox Palmer respectively. Thank you to the very qualified applications we received. Our best wishes go out to Stella Roy who has made the decision to go on a polio immunization trip to Nigeria. Thank you Stella for your dedication. Our thoughts will be with you in November. For those clubs or individuals who wish to make a donation to Lac-Magnetic library restoration can make it direct to the Stratford Rotary Club who are setting up a special account for this.Thank you Pam to you and your club for doing this. Please keep in mind RLI in Truro on Oct. 19th and the success seminar in Moncton on Oct. 26 th. Information on both of these can be obtained on the District website.
. Talk about your vocation in your club,and take the time to learn about fellow members vocations.
. Use your professional skills to serve your community.
. Practice your profession with integrity ,and inspire others to behave ethically through your own words and actions.
. Help a young person achieve his or her career aspirations.
. Guide and encourage others in their professional development. FIRST. The development of acquaintance as an opportunity for service. SECOND. High ethical standards in business and profession. THIRD. The application of the ideal of service in each Rotarian's personal,business,and community life. FORTH. The advancement of international understanding ,goodwill,and peace. November being Foundation month our Foundation chair Elva Heyge will provide some words of inspiration .